How well can democratic decision making incorporate the knowledge and expertise generated by public policy analysts? This book examines the historical development of policy analysis, as well as its use in legislative and regulatory bodies and in the federal executive branch. 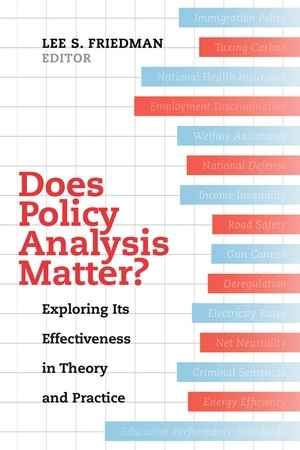 The essays show that policy-analytic expertise effectively improves governmental services only when it complements democratic decision making. When successful, policy analysis fosters valuable new ideas, better use of evidence, and greater transparency in decision processes. Lee S. Friedman is Professor of the Graduate School at the Richard & Rhoda Goldman School of Public Policy, University of California, Berkeley. 2. How Effective Is Policy Analysis?